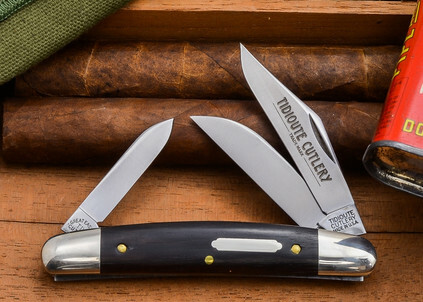 The Congress pattern, introduced in the early 19th century, was one of the first pocketknives created especially for the U.S. market. 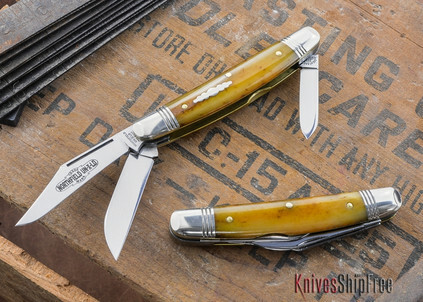 Great Eastern Cutlery's #62 appeared a bit later (in 2011) with useful Wharncliffe and pen blades. The #62 has somewhat softer backsprings than other Great Eastern knives, but the blades still have great "walk and talk" with nice half-stops. 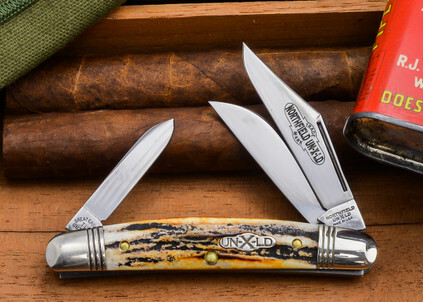 At 3.75" closed, the Great Eastern Cutlery #62 is very pocket-friendly.